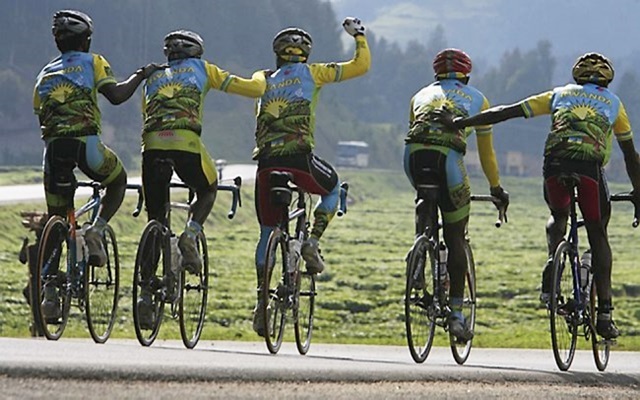 Rising from Ashes is a documentary about a team of cyclists in post genocide Rwanda. It’s narrated by UNESCO goodwill ambassador Forest Whitaker. Rwanda and cycling? It’s certainly not the most striking combination that can be thought of. Rwanda sadly made the headlines with the genocide that took place in 1994. However cycling has been a long-standing tradition in the country. Hills and mountains dominate a sizeable area. They make a perfect natural training environment for cyclists. Rising from Ashes traces the path of Team Rwanda, a cycling team formed of genocide survivors, and trained by Jonathan “Jacques” Boyer, the first US citizen to ride le Tour de France in 1981. In this poignant journey, riders first get noticed in local races in Rwanda to end up in the London Olympics. They make do with wooden bikes but eventually ditch them for bikes whose “brakes work”. But it is not an actual sporting adventure. It’s a story about people. People who refuse to give up after a tragedy. People who believe in life and reconciliation no matter what. They want to show that Rwanda can also be a beautiful country and they have certainly succeeded.